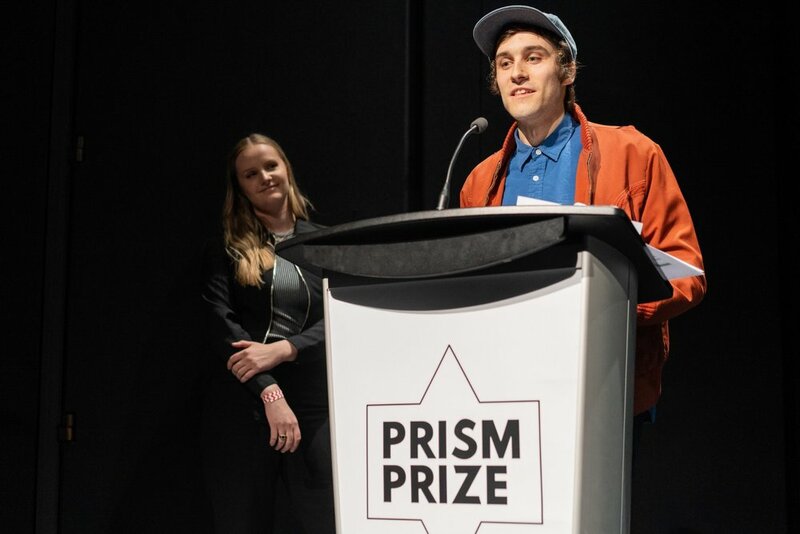 Toronto, ON – May 13, 2018 - Fantavious Fritz was announced as the Grand Prize winner of the 2018 Prism Prize for Charlotte Day Wilson’s music video for “Work.” Both director and artist were on hand to accept the Prism Prize trophy and $15,000 award at the Prism Prize Awards Presentation at TIFF Bell Lightbox in Toronto, Ontario. The 2018 Prism Prize Audience Award was presented to director team Keavan Yazdani and Sean Brown for Daniel Caesar’s “Freudian, A Visual” video, based on thousands of online votes on prismprize.com. Cherie Sinclair of The Field was also in attendance to accept the previously announced Prism Prize Special Achievement Award (presented by Slaight Music), honouring a Canadian music video artist for their artistic achievements and exceptional contribution to music video art on a world stage. Also honoured at the event was Karena Evans, the recipient of the Lipsett Award (presented by Bell Media), established to recognize an innovative and unique approach to music video art and Grimes was presented with the Hi-Fidelity Award (presented by FACTOR), for exhibiting a strong visual identity through music video. All Prism Prize Award recipients, including the Grand Prize, Audience Award, Special Achievement Award, Hi-Fidelity Award and the Lipsett Award, received $2500 grants from William F. White for production equipment rentals, and all Top Ten nominees received an exclusive gift bag from MAC Cosmetics. Plans for the 7th annual Prism Prize will be announced later this year. Prism Prize is proud to host a comprehensive resource for music fans to watch the best Canadian music videos all in one place. Videos and news from Canada’s music video community are available throughout the year at www.prismprize.com.